Deep Canyon adventures are a journey unlike any other. Get in touch with a special natural world as you plunge down water polished chutes, abseil down waterfalls and jump off cliffs! 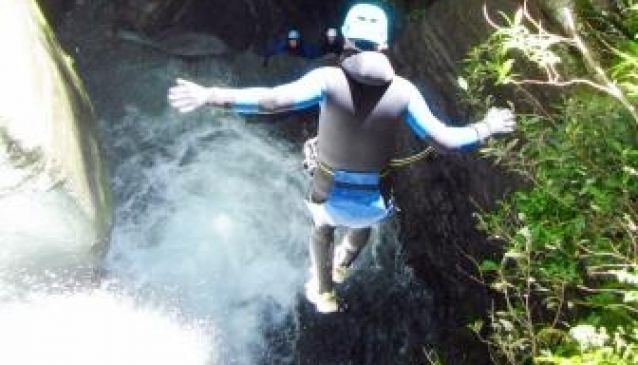 Based in Wanaka, Deep Canyon have access to a variety of beautiful canyons to suit all adventure seekers from the novice to the experienced canyoner. Challenge yourself in ways you'd never dreamed of. Climb, swim and float through an amazing world of water- sculpted rock, deep clear pools and spectacular waterfalls. Join Deep Canyon for the adventure of a lifetime. Get wet... get real wet!